Are you sitting comfortably? We spend more and more time seated either at a desk, in a car or on a sofa, maybe to the detriment of our musculo-skeletal system. 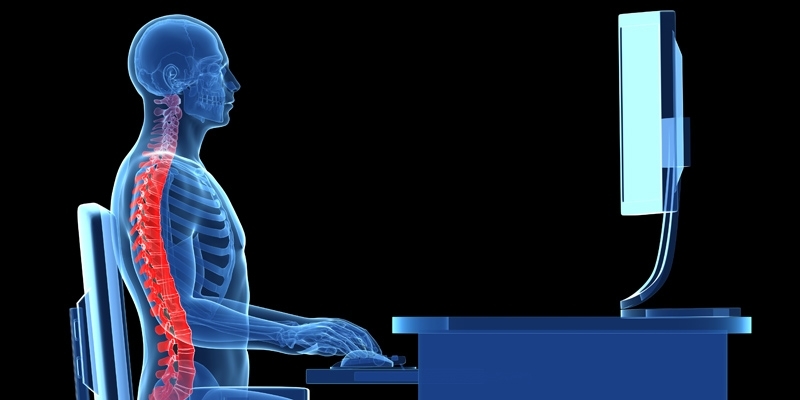 Our bodies are designed to be dynamic and are superbly adapted to move, but modern lifestyles have many of us leading sedentary lives, sitting for long periods of time, resulting in poor posture, shortened muscles, pain and discomfort. Here at the Bury St Edmunds Chiropractic Clinic we can help you look at your work positions, help you to recognise what might be part of the cause of your pain, and give advice on the correction and modification of those causes. We know how to set up your work stations, what height your desk should be, what kind of features to look for in a chair, and how to adjust your car seat to the best position. In addition we can advise on ergonomic aids, how to use them or are there other alternatives, what are the advantages of a ball chair, a seat wedge, or a “Sit Fit”.